Limit 1 (one) per office. Don’t take our word for it… with EVANESCE – trying is believing! Just fill out the form and we’ll send you a free sample of EVANESCE – in the 3 most popular VITA shades – to try out in the comfort of your own office. No hassle. No pressure. No one staring over your shoulder. Just you and the composite (mano-y-mano). Are you looking for a universal composite with putty-like, non-sticky, slump-free handling – one that stays where you place it so you don’t waste chair time creating anatomy only to turn around and find it gone? What about a material that comes to a quick, high gloss polish? 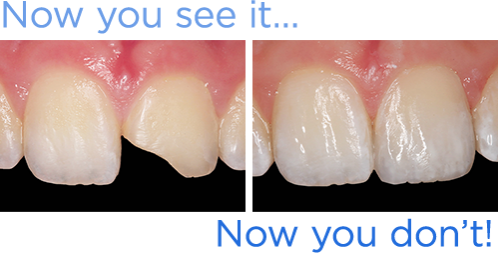 And thanks to the addition of nano pigments and a proprietary process that optimizes the refractive index of both fillers and resin, Evanesce offers outstanding esthetics and simply disappears into the natural tooth (that’s right, invisible composite margins!) for a life-like, beautiful restoration. We know what you’re thinking – what manufacturer DOESN’T claim their composite offers excellent handling and a superior polish with outstanding esthetics?! Our evaluators can’t stop talking about it! Want to know more? Contact one of our product experts today! Copyright ©2019 Clinician's Choice Dental Products Inc. All Rights Reserved.